1. First, start work on the base. To do so, place the graham crackers in a freezer bag and crush them using a rolling pin. 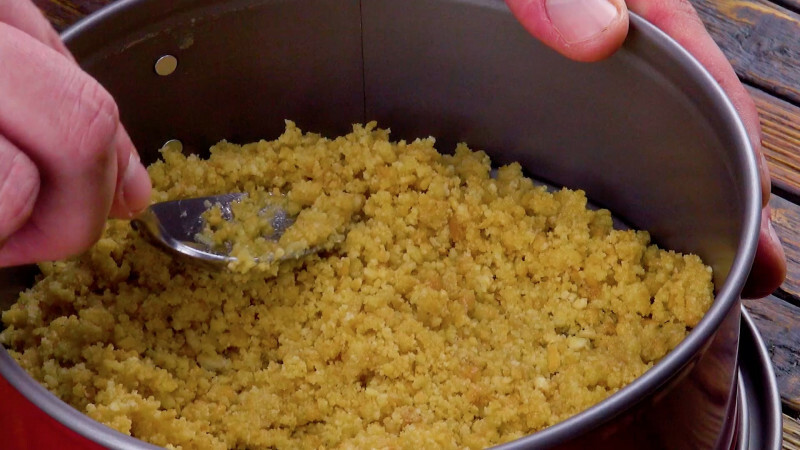 Add the crumbs to a bowl and mix them with the butter before spreading the mixture on the bottom of a cake tin. Place the cake tin in the fridge. 2. Heat up the milk and gelatin in a pot. Use an electric whisk to mix the mascarpone with the sugar, vanilla flavoring, and espresso. Next, add the milk and gelatin mix from the pot to the cream. 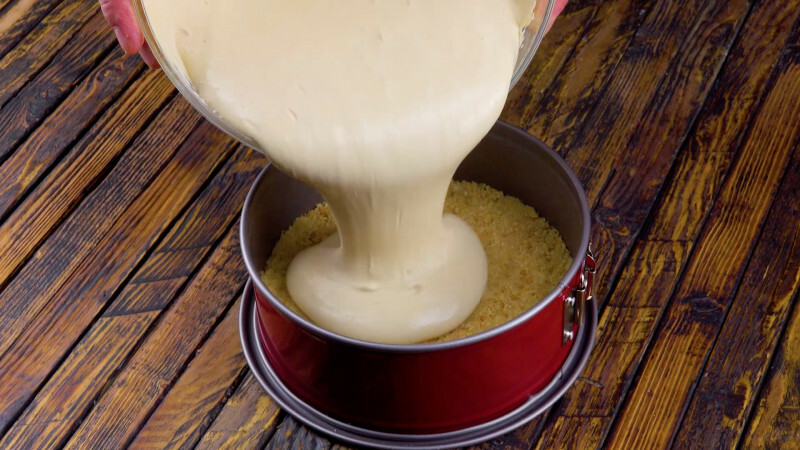 Pour the mascarpone mix onto the base in the cake tin and refrigerate it for four hours. 3. For the topping, stir the cream, sugar, and vanilla flavoring in a bowl. Fill a piping bag with the mixture and pipe it onto the cake. To finish, sprinkle on some cinnamon and grated chocolate. 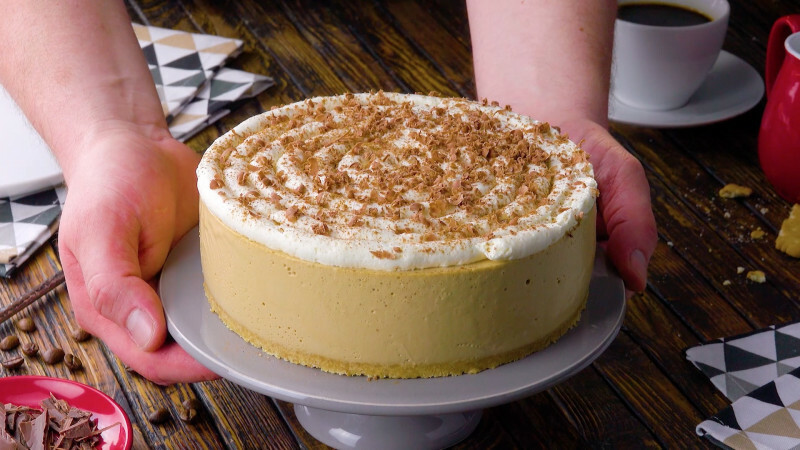 If you still have some graham crackers left over, you can use them to make the Chocolate Dot Cheesecake from the bonus video. Find the full recipe here.